Baikonur spaceport saw traditional flag raising ceremony taking place at pad #17 in front of ”Cosmonaut” hotel. 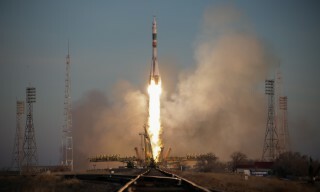 Soyuz MS main and back-up crew members raised the flags of the countries participating in the mission. This event symbolizes the final stage of preflight preparations. 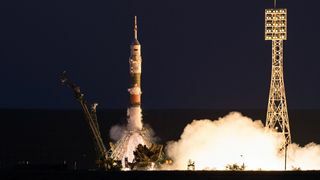 Roscosmos cosmonauts Anatoly Ivanishin and Oleg Novitsky raised the flag of Russian Federation, JAXA astronaut Takuya Onishi – the flag of Japan, NASA astronauts Kathleen Rubins and Peggy Whitson – the flag of USA and ESA astronaut Thomas Pesquet – the flag of Kazakhstan. 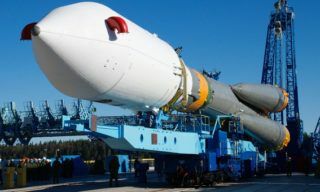 Flag-raising ceremony, a long-standing tradition dating back to the 70-ies and kept by all generations of cosmonauts, is obligatory for all the missions going to space from Baikonur spaceport. 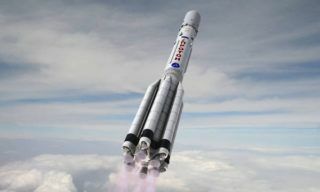 Roscosmos representatives, Baikonur authorities and GCTC specialists attended the ceremony. 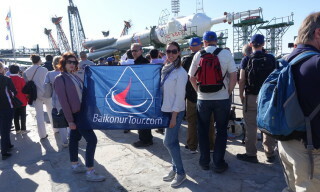 Following the long-standing tradition back-up crew members went on tour through Baikonur town. 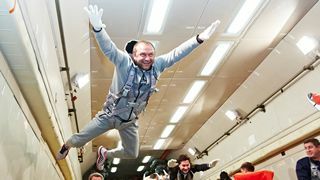 First of all Oleg Novitsky, Thomas Pesquet and Peggy Whitson visited Yuri Gagarin monument, and the monument to the legendary designer Sergey Korolev. 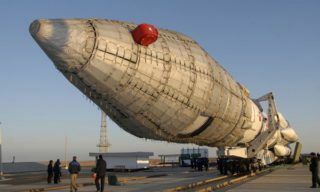 Then the crew visited Museum of Baikonur spaceport history. 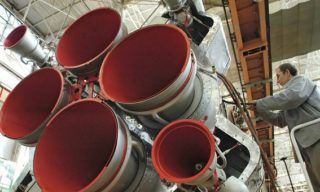 The launch of Soyuz MS spacecraft is scheduled for July 7, 2016. On Saturday, June 24, the crews performed first Soyuz MS fit-check. 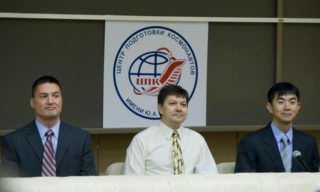 According to press service of Gagarin Cosmonaut Training Center, NASA astronaut Kjell N. Lindgren was introduced to the management and instructors of GCTC. 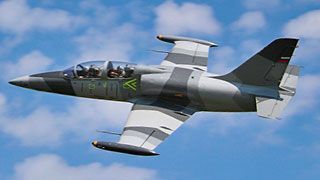 Kjell N….